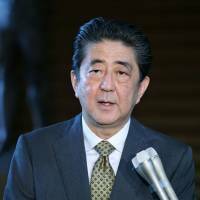 Prime Minister Shinzo Abe is arranging to hold a meeting with Chinese President Xi Jinping on the sidelines of an Eastern Economic Forum conference in Vladivostok, Russia, in September, it was learned Sunday. The summit is aimed at accelerating the improvement of Japan-China relations, government officials said. 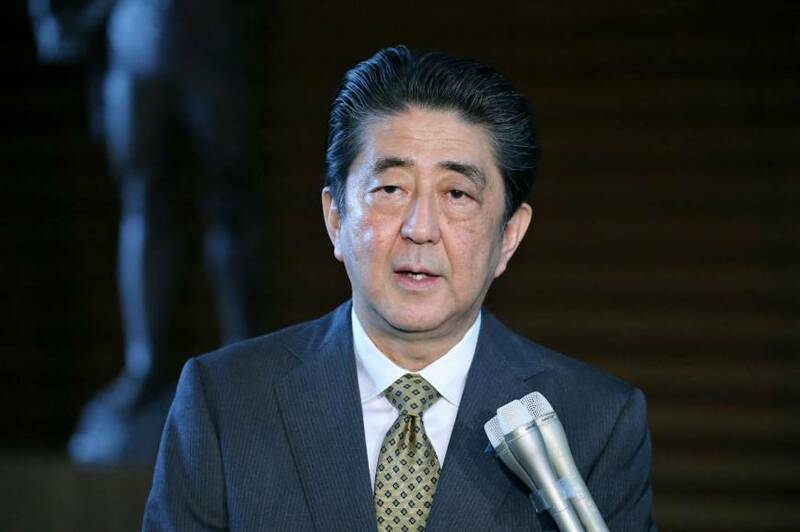 Abe also plans to avoid visiting Yasukuni Shrine in Tokyo on the Aug. 15 anniversary of Japan’s surrender in World War II, the officials said. The Shinto facility, which honors Japan’s war dead along with Class-A war criminals, is regarded by China as a symbol of the nation’s past militarism. A government official said it is natural for the prime minister to pay due consideration to China to improve bilateral relations. Abe last visited Yasukuni in December 2013. He is likely to send an offering instead. The forum in Vladivostok from Sept. 11 to 13 may also be attended by North Korean leader Kim Jong Un, raising the possibility of a much-sought Abe-Kim meeting. Abe aims to hold talks with Xi to strengthen bilateral cooperation on denuclearizing North Korea and resolving the abduction issue, the officials said. Abe also hopes to go to China as early as October to pave the way for a Japanese visit by Xi next year, presuming he will win a third term as president of the ruling Liberal Democratic Party this September. The forum in Vladivostok will likely be held during the campaigning period for the LDP leadership election. By attending the forum and meeting with Xi, Abe would highlight his eagerness to keep hold of the reins of government.